The Gustume (official instructions here) is by far the biggest tick-or-treat trend of 2014, but there is such an amazing array of Auburn icons, both old and new, from which fans can draw Auburn Halloween costume inspiration. 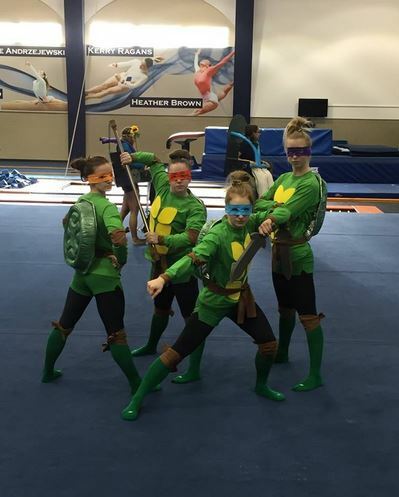 Take, for example, the familiar faces (or at least clothes) on display at the Auburn Gymnastics team’s Halloween costume contest. Is that Jake Longenecker? No, it’s freshman gymnast Abby Milliet dressed as Jake Longnecker, the baller Auburn ball boy with his own T-shirt. Her fellow freshman are also creatively All In. 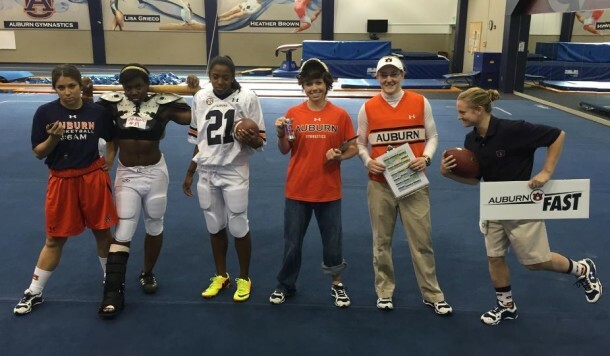 Yes, there’s someone dressed up as the New Ball Coach, but there’s also a Bo Jackson a la The Ballplayer, Tre Mason, and some other Auburn people I’m sure I should totally recognize. 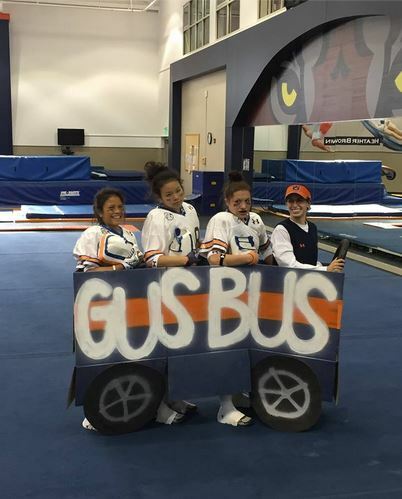 The sophomores took a more conceptual approach to Auburnween: The Gus Bus. The juniors are heroes in a half-shell, while the seniors are a roller coaster. Which is kind of amazing. Your vote (as long as it’s cast by noon Friday) determines which class wins. 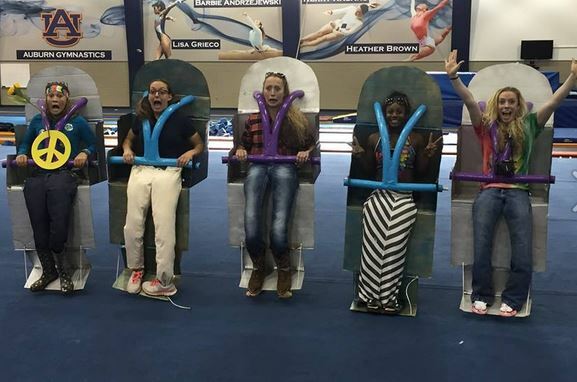 Help shape Auburn Gymnastics history. 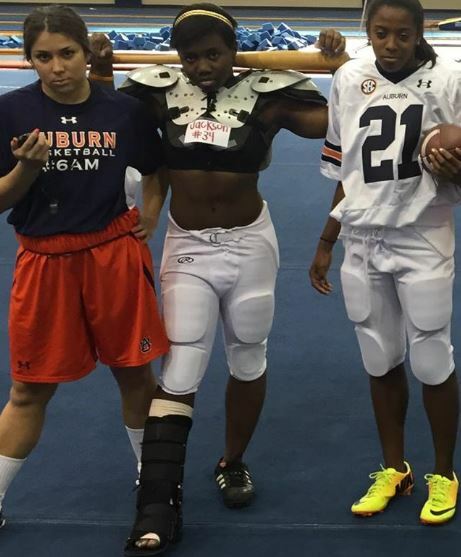 The Auburn Cheerleaders held a costume contest earlier in the week. The cheerleader dressed up as Publix crab legs didn’t win. 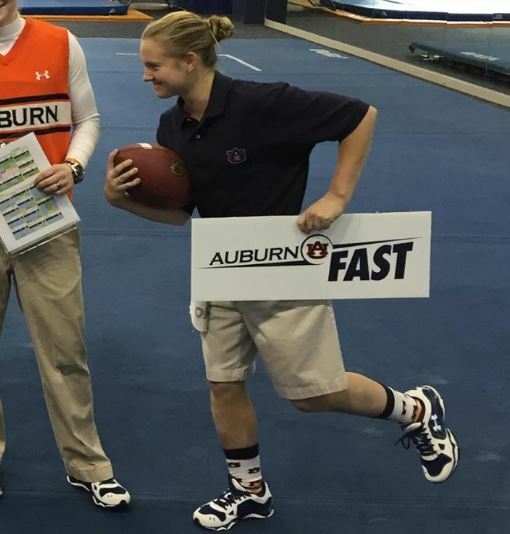 Related: Bama fans boo Auburn gymnast for striking Heisman pose during routine. Do you want TWER to keep on keepin’ on? Can you spare a couple bucks?